It's easy to get started - just call us at (801) 649-4965 and you can be set up in minutes! Yes. Call to have a consultant assist and direct your domain to your new server. Call our support line and one of our knowledgeable technicians will assist you in setting up a domain name that they will register and setup for you. Can I get my logo into the website? Yes, give one of our technicians a call and they will assist you. We have multiple clinics - can we have separate pages for each clinic? Can I have a page for each doctor? 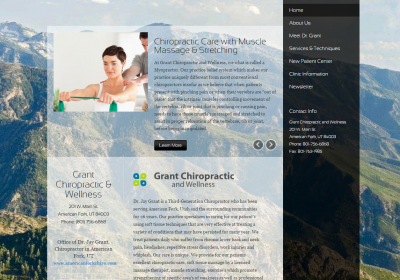 Build your practice by building your web presence. 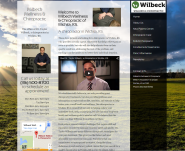 A website is only part of the online experience for your clinic, your patients, and your prospective patients. 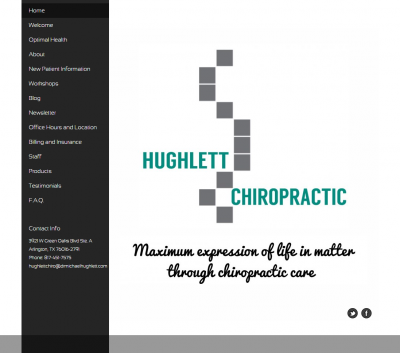 We believe you get the best results with a holistic approach - website, email newsletters, and search engine optimization, all customized for your clinic. One of our trained consultants will discuss with you how to integrate what you presently have and what will deliver results for you. Don't worry - we handle all the details from domain registration to ultra reliable web hosting, so you don't have to. 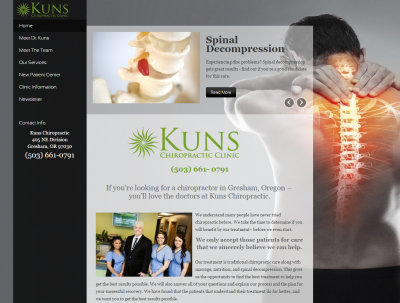 Allow us to create a fresh and clean image for you and your practice via our health conscious and patient oriented website designs. All websites will include a mobile friendly version for smartphones and tablets at no additional cost. Getting your website found is the hardest part of starting a web presence and it can be achieved by three proven phases. 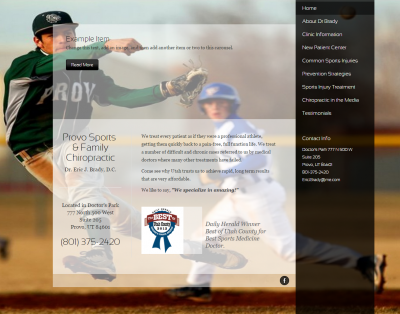 First, allow us to build your website from the ground up so it is search engine friendly. 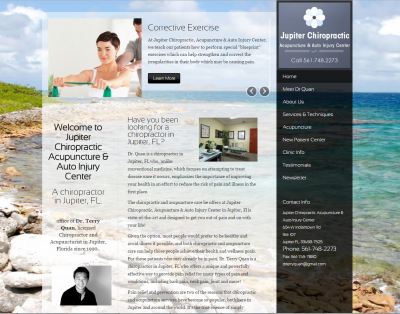 Second, link your website to the Internet's #1 Chiropractor referral service, Chirodirectory.com. 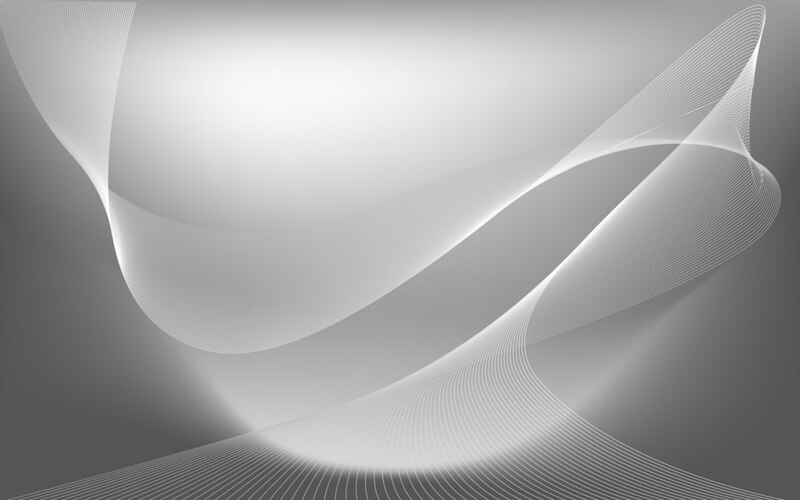 This gives you direct references and boosts your website's search engine rankings. And last but not least, target your local market directly by using sponsored searches, and/or organic placement on Google. Your website comes with an easy to use admin panel and an even easier to use support phone number. Just call and our technicians are available to answer questions, crop images, or make modifications to your website. Unlike do it yourself sites, where there is no human contact possible or custom web designers where you don't have control (and have to pay for every little change), our system is balanced and all support is included without extra charges.